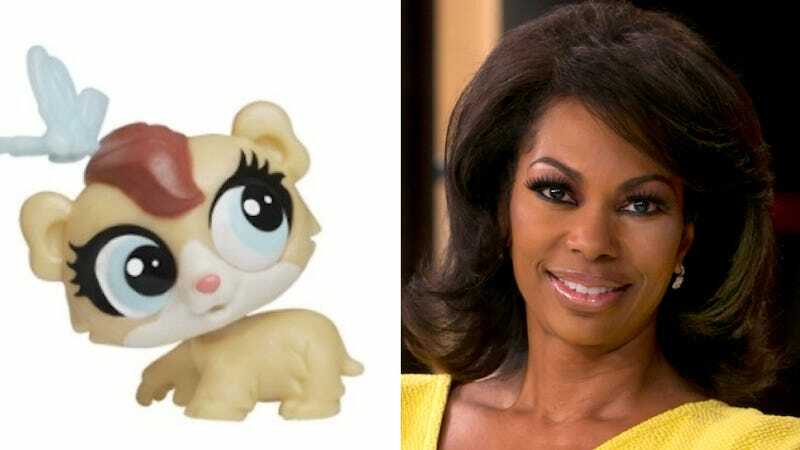 Hasbro added a hamster to its Littlest Pet Shop collection and named it Harris Faulkner. That is so funny and so weird. Faulkner, the Fox News Channel anchor and television personality, does not think it is funny and is suing the company so that it will kill the little hamster who did nothing but have a funny name and also look kind of like her. Faulkner thinks the toy’s existence is detrimental to her reputation and is also mean and would like them to get rid of it and give her $5 million. The Harris Faulkner toy was introduced in 2014, according to the lawsuit, and was sold in a package as the pet hamster of a terrier named Benson Detailer. Other toys in the popular line include animals named Pancakes Watkins, Puffball Petrovsky and Pepper Clark.